The Indian ecommerce giant Flipkart has come up with another big event after the huge success of BIG Billion Day. 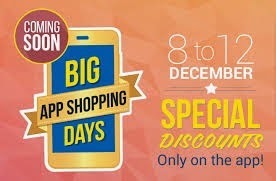 The event is named as “BIG APP SHOPPING DAYS”.The Big App Shopping event is scheduled to run for a period of five days starting from 8th December and lasts upto 12th December.As we have already know that Flipart is not participating in the GOSF 2014 i.e The Great Online Shopping FestivaI,many are of the opinion that Flipkart is on its own move to give a big fight to the other ecommerce giants such as Amazon, Snapdeal, Jabong who are playing in GOSF 2014 deals. With the BIG APP SHOPPING DAYS, Flipkart is going to surprise its customers with ever before discount Dhamakas. Here is a small twist in the scene, only the customers who make a purchase with the FLIPKART APP can avail the big discount given by the flipkart. So every one make sure to download the Flipkart App on to your mobiles before shopping.Down below we are providing the direct link to download the Flipkart App which gets downloaded in seconds. 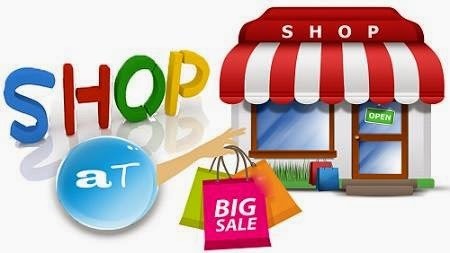 3.Now do shopping with the amazing discounts provided by the Flipkart on various items..
1. NEVER MISS A THING! Easily jump between products with the intuitive slider. Flipkart is an electronic commerce company founded in 2007, by Sachin Bansal and Binny Bansal.It operates exclusively in India, where it is headquartered in Bangalore, Karnataka. ]Flipkart has launched its own product range under the name "DigiFlip", Flipkart also recently launched its own range of personal healthcare and home appliances under the brand "Citron"